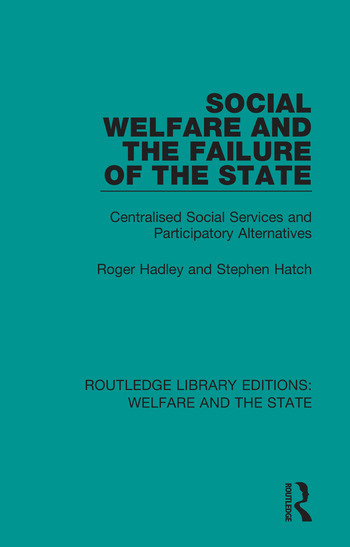 Originally published in 1981 Social Welfare and the Failure of the State looks at how the 1980s have ushered in an intensification on the debate of the role of the state in social welfare. The book highlights the trends towards centralisation in modern Britain and then provides a critical argument on to new ground. It highlights the trends towards centralisation in modern Britain and then provides a critical analysis of the growth of the social services in the 1960s and 1970s. But its target is the way these services were provided, not the amount of money spent on them. The authors argue that they have grown in the wrong direction.